Transmission system demand on Saturday afternoon (25 March) dipped below overnight demand for the first time in the UK’s history, with increased solar generation the root cause. 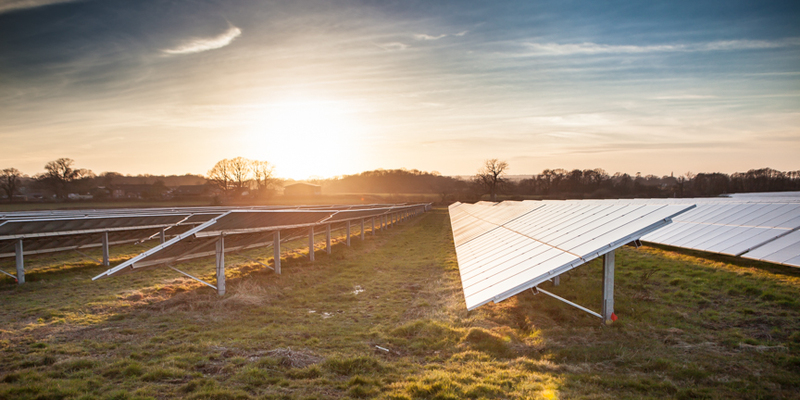 Between 1pm and 4pm demand on Great Britain’s transmission system dipped below 25GW owing to increased output from solar PV generators which benefitted from ideal weather conditions. This, according to National Grid, was below the overnight minimum demand of circa 26GW; the first time this has happened in the UK. Saturday afternoon was particularly bright with moderate temperatures, and the UK has seen an explosion in operational solar capacity in recent years. There is now thought to be in excess of 12GW of operational solar in the UK, with the current ROC grace period - which remains open until 31 March - allowing for one last surge of capacity to be added before slamming shut. The historic moment was capped off with the fact that gas and coal generators were forced to reduce their output to accommodate nearly 8GW of solar generation that occurred during the Saturday peak. Leonie Greene, head of external affairs at The Solar Trade Association, said it was a “landmark” achievement for UK solar. "It proves just how much clean power is now being supplied locally by distribution-connected solar. This landmark clearly points the way towards the future strategic evolution needed on our networks. The next steps, which can't come soon enough for the solar industry, are expediting the transition to an active DSO [Distribution System Operator] model and opening up markets including in network deferment, where storage has a huge role to play,” she said.